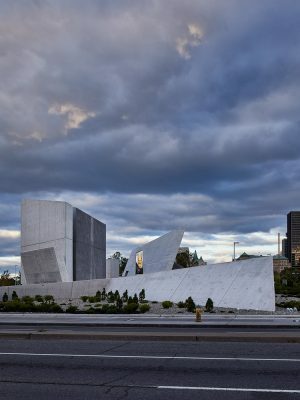 The Monument will honor the millions of innocent men, women and children who were murdered under the Nazi regime and recognize those survivors who were able to eventually make Canada their home. 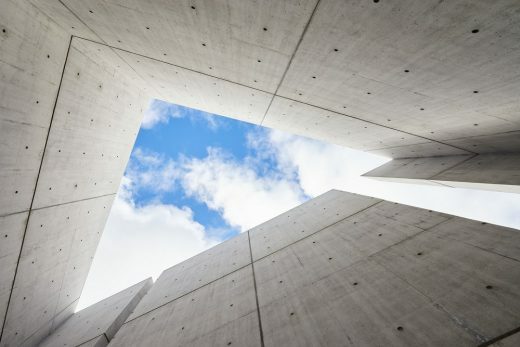 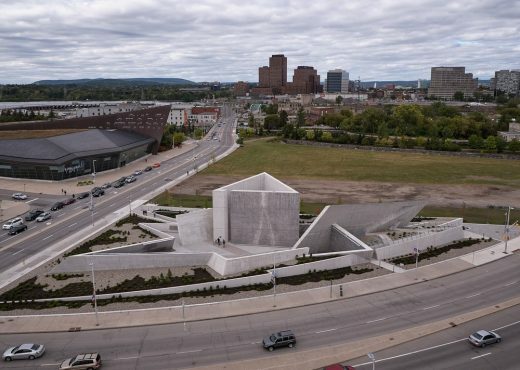 The Monument is an experience that combines architecture, art, landscape and scholarship in ways that create an-ever changing engagement with one of the darkest chapters of human history while conveying a powerful message of humanity’s enduring strength and survival. 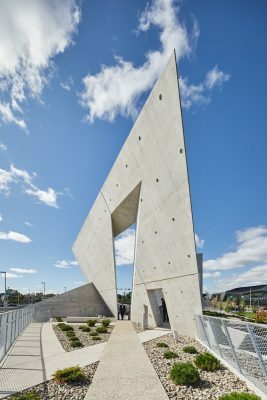 “It is extremely meaningful to have been able to design and realize this monument with an incredible team,” said architect Daniel Libeskind. 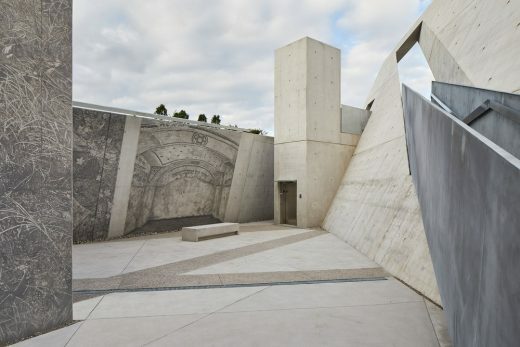 “This monument not only creates a very important public space for the remembrance of those who were murdered in the Holocaust, but it also serves as a constant reminder that today’s world is threatened by anti-Semitism, racism and bigotry. 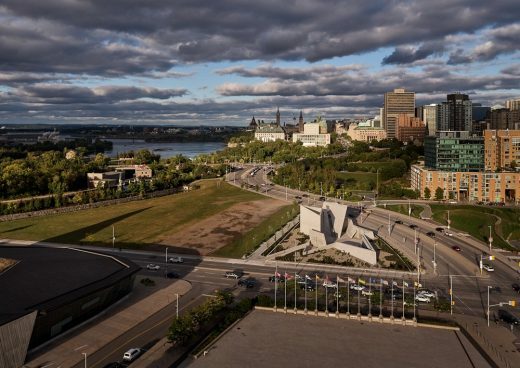 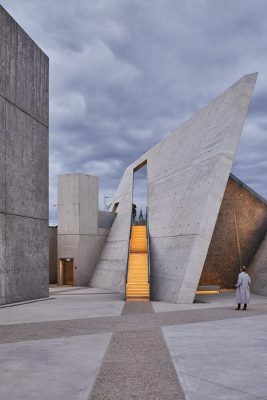 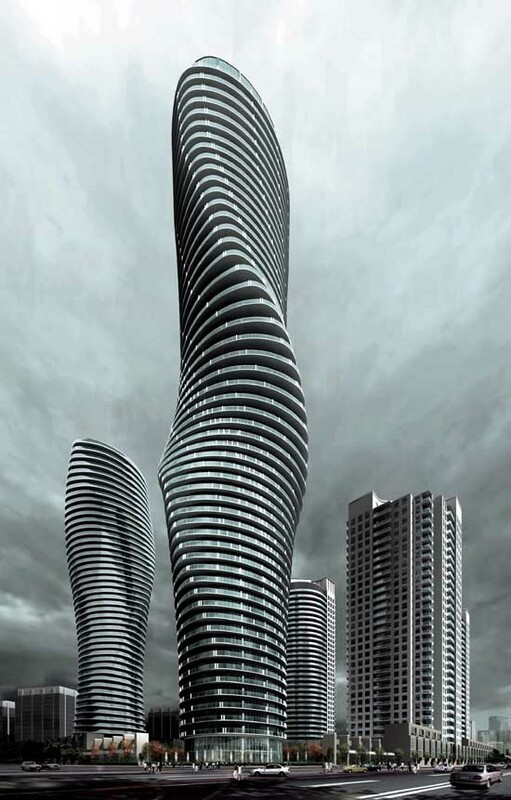 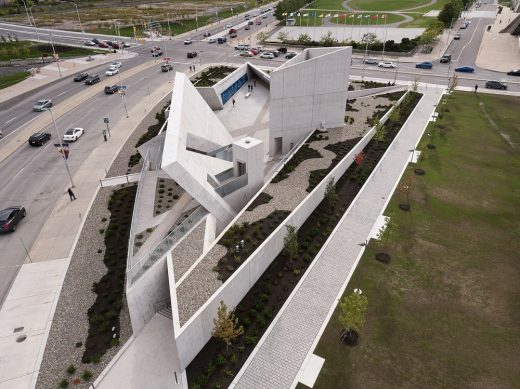 Canada has upheld the fundamental democratic values of people regardless of race, class or creed, and this national monument is the expression of those principles and of the future,” added Libeskind. 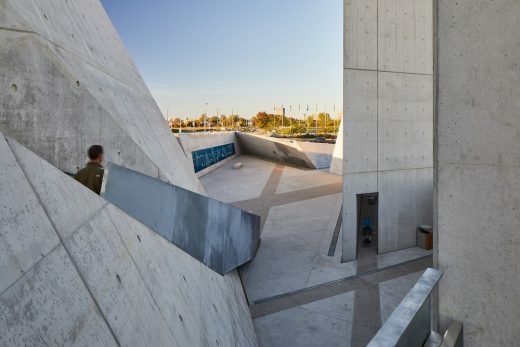 The Monument is organized with two physical ground planes that are differentiated by meaning: the ascending plane that points to the future; and the descending plane that leads visitors to the interiors spaces that are dedicated to contemplation and memory. 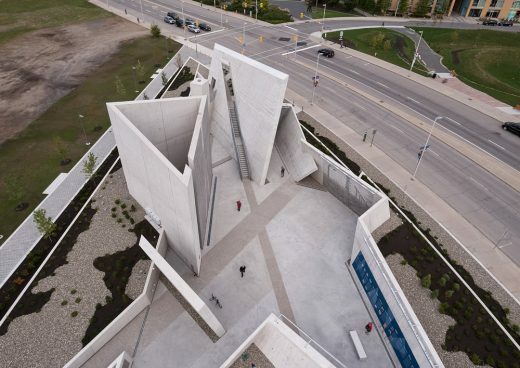 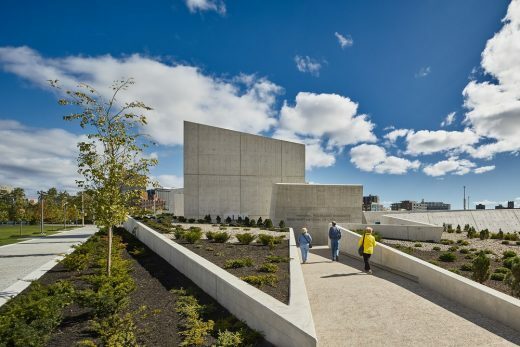 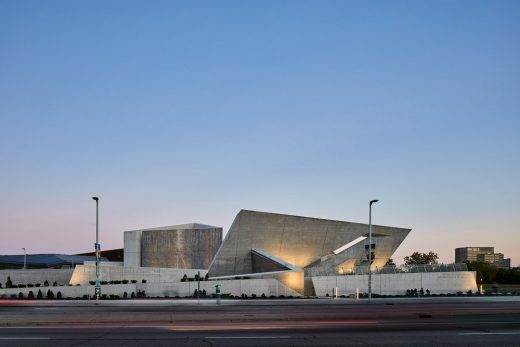 Six triangular concrete forms provide specific program areas within the Monument: the interpretation space that features the Canadian history of the Holocaust; three individual contemplation spaces; a large central gathering and orientation space; and the towering Sky Void that features the eternal Flame of Remembrance, a 14 meter-high form that encloses the visitor in a cathedral-like space and frames the sky from above. 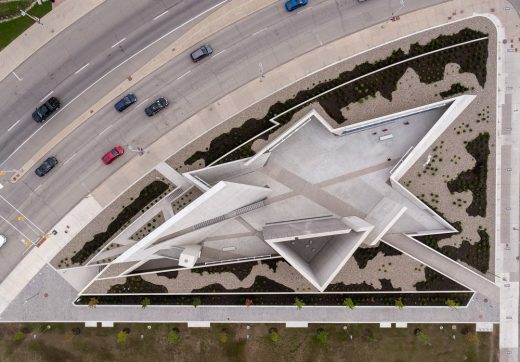 Edward Burtynsky’s large scale, monochromatic photographic landscapes of current day Holocaust sites – death camps, killing fields and forests – are painted with exacting detail on the concrete walls of each of the triangular spaces. 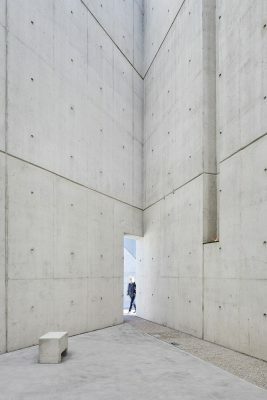 These evocative murals aim to transport the visitor and create another dimensionality to the interiors spaces of canted walls and labyrinth-like corridors. 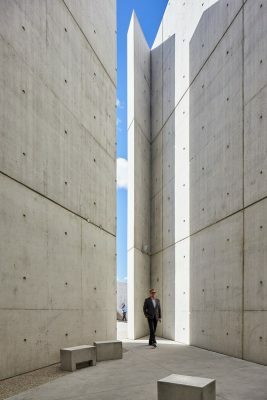 dangers of state sponsored genocide. 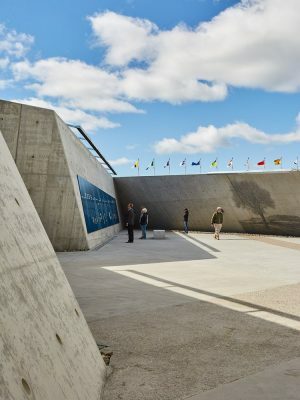 Lighting design by New York-based Focus Lighting creates a dramatic yet serene atmosphere for visitors. 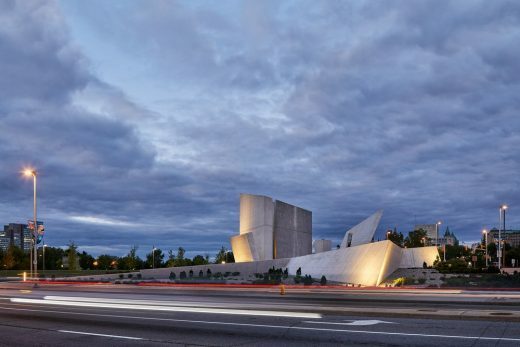 By night the large-scale murals become the center piece of the massive angled walls and the central Stair of Hope is a glowing beacon leading up to the street and framed by the Parliament Building. 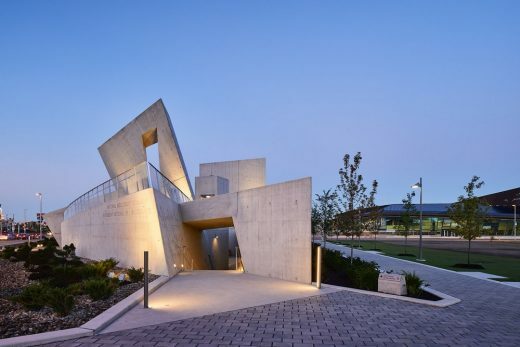 The lighting design threads together the architectural language with an intimate and comfortable environment. Strategic use of indirect sources allows light to emanate from architectural features without distracting from the viewer’s experience. 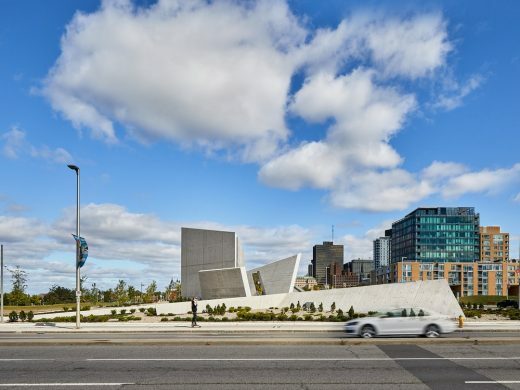 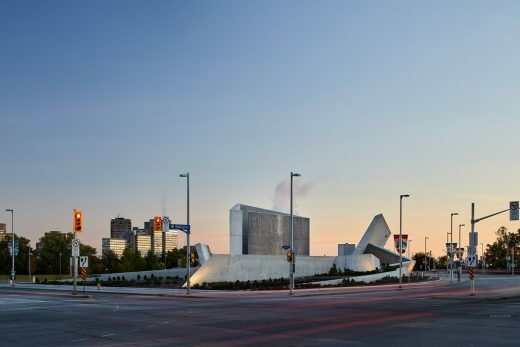 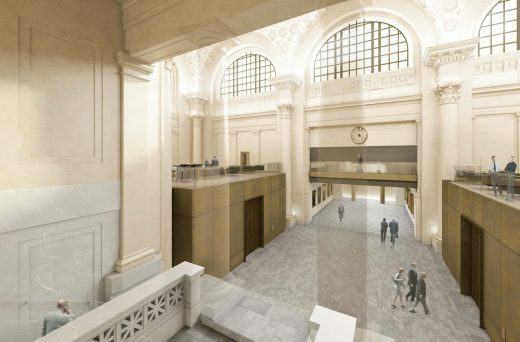 “It has been an honour to be entrusted with the responsibility of achieving this Monument with our incredible team and to create a place of meaning and value for Holocaust survivors and all Canadians,” said Gail Lord of Lord Cultural Resources.